Since China has replaced Japan as the second largest economy, and the continued appreciation of Chinese Yuan (CNY), the Chinese market is getting more attention than ever. 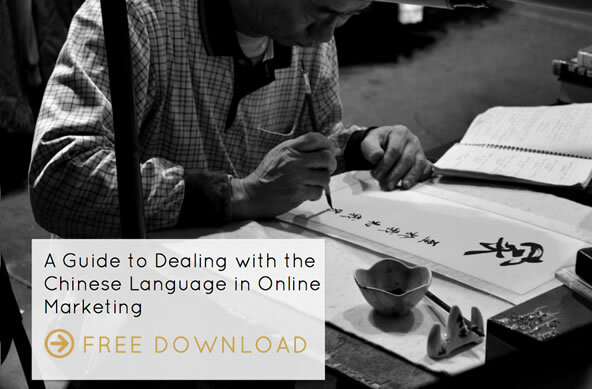 For international businesses to reach Chinese customers, the optimisation of their Chinese websites is a must. Looking at the data from CNZZ , in Feb 2014, we can see that Baidu holds 55.15% market share in China. Although Qihoo (360) is also a big contender and Soso and Sogou merged, Baidu is still the most popular search engine in China. As such, this article will introduce how international businesses should start their Chinese SEO Campaign, with a focus on Baidu. For some political reasons, Chinese websites should definitely use a ccTLD. This will be also helpful for local hosting and getting an ICP. With regards to the domain name, Baidu is unbiased to .com, .cn, .com.cn and others, although it’s worth noting that Chinese users generally prefer .com.cn, .cn and .com domains. Hosting in China is not absolutely necessary but should be seriously considered if you want your site to perform well in Baidu. This is not only helpful to the loading speed in China, but is also a precondition to get an ICP. It is required by Chinese government that all websites operating in China need to get an ICP record. Although some websites using foreign hosts with no ICP are still able to be visited by Chinese users, there is no doubt that websites which have an ICP are more favourable to search engines in China. For example, you have to get an ICP before submitting your website to Qihoo (360), and some Baidu paid ads also require an ICP. In addition, websites with an ICP are perceived as more trustworthy, not only to visitors but also to other webmasters when they want to add a backlink to your site. So Chinese websites should apply for an ICP record at Chinese Ministry of Industry and Information Technology as soon as possible. Businesses which have done PPC should already be familiar with this tool. An added benefit of this tool is that you can register a free PPC account to use it as well. Similar to Google Keyword Planner, it can suggest relevant keywords with daily search volume on Baidu based on the input keywords or your URL. The data found on the Aizhan keyword tool is based on Baidu, it lists relevant keywords, search volume and competition in a table, which is more convenient for batch operations. The new version of Baidu index not only provides the trends of the keywords and the news for the industry, it also provides other useful data. For instance, you can use the feature ‘Demand Map’ (需求图谱) to get a better idea of long-tail keywords. Generally Baidu attaches most importance to the homepage, since it believes the content on the homepage is the most important. Therefore, it is hard for deep pages to be ranked, or even indexed. 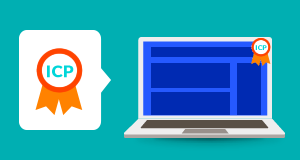 For small websites, a flat website architecture is recommended. It is advised to keep within 3~4 levels even for big sites. This will be also help with indexation. Chinese sites should implement internal links well. Each page should be linked to by at least one anchor text link. Since Chinese characters have multiple meanings, and there is no space in the sentence, the combination of words can have different meanings. So using anchor text as internal links can not only be helpful to Baiduspider when crawling the site, but also will highlight the important keywords on the page. Using breadcrumbs not only shows your visitor where they are on the site but also helps the Baiduspider to crawl your site. It is advised to keep the URL easy to understand, and include keywords. As Baidu says: ‘Baiduspider is just a normal visitor, a friendly URL will help it understand the page well’. Adding keywords will make your URL easy to understand. PinYin is the most popular system used to write Mandarin Chinese in the Latin alphabet, and Baidu supports PinYin well. So when writing a URL, it is advised to add keywords in PinYin instead of English without affecting the length of the URL. To be friendly to Baiduspider, it is also necessary to keep URLs short and remove useless dynamic code. The homepage should include all your important information. This is because, unlike Google, Baidu attaches more importance to the homepage. In Google’s view, detailed deep pages can be more relevant to the keyword, and it is not very hard for detailed page to be ranked. But for Baidu, the homepage should get more priority. Sometimes, when searching for the same keyword, your homepage could rank higher than the detailed page on Baidu. Therefore, optimisation of your homepage is very important. 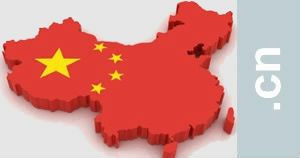 Chinese users favour homepages with rich content. Please make sure you add all your important information to your homepage and avoid using only a few images or flash on the homepage. If that increases the size of the homepage too much, then turn on the Gzip, as that won’t impact the performance on Baidu. Content is very important to a website. But some international businesses don’t pay attention to that. Some companies like to copy the content from their Hong Kong or Taiwan sites, and some even just use the translation of their English site. Because of the difference in the ways of expressing ideas and thinking, it is almost impossible for these kind of sites to get good rankings on Baidu. So as an international business, you should give more power to your Chinese team, who should choose and create suitable content for your Chinese site, not just copy from your other sites. 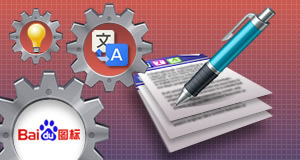 Compared to Google, Baidu relies on the title tag more when judging the topic of the page. Your Chinese title should be within 30 Chinese characters (60 Latin Characters). And place important keywords at the front of the title. For famous brands, adding the company name in the title tag will make the page more trustworthy in the SERPs. Make sure you use a Chinese name and alt tag on your images. That will make your page more relevant to the target keyword and this is something that many international businesses neglect. Some just copy the image from their other local sites, which is meaningless to the ranking of their Chinese site and in the worst case, the alt tag can be messy. Baidu favours fresh and original content. Websites with fresh content will get more attention, and be indexed quicker. So if possible, add fresh content constantly. Adding a news page or an official blog page on your site could be a helpful way of doing this. If you have nothing new to add, it is also good to rewrite exist page content based on the same keywords regularly. Baidu supports canonical tags already. So make sure you use it when you have duplicate content. Websites with pop up ads will not rank well in Baidu because it harms the user experience. Also, Chinese users don’t like pop ups even they are not in ads. So avoid using pop-up windows in your site. Since Baidu launched its Scindapsus algorithm 2.0 to attack link trading, it is harder to get valuable links even with content marketing. Low quality articles will just be ignored by Baidu. On the other hand, more Baidu products start to use ‘nofollow’ links, which makes it harder to build links with Baidu products such as Baidu Baike. But this doesn’t mean link building is useless, instead it shows that Baidu still considers back links, but it’s important that they are high quality. To make the link quality, it has to be meaningful. For example, when there is some news about your brand or industry, you can publish articles on the Baidu news protocols. When there are some offers, you can publish them on the forums about shopping. As well as this links from famous blogs or websites will still be considered. 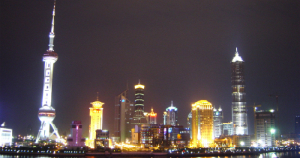 Social media is an important part of online marketing as it is popular in China. There are more than 700 million social media users in China. Over 92% of Chinese internet users have social media accounts. Most of them are Chinese social media sites, not Facebook, twitter, youtube or Google+. It is necessary to have suitable Chinese social media accounts for international business. Below is the introduction of the top Chinese social media sites. Similar to MSN space, Qzone is an additional product of QQ account. Although having a huge number of users, it looks more like a personal space, and its users are mainly teenagers. Information is usually disseminated to fans’ space as articles. Similar to Whatsapp, but WeChat provides more free features. It is very popular with smartphone users. Businesses can register public accounts and customise it by using the development mode. WeChat is not suitable for all industries. For example business accounts are limited to publishing one article per day, which is not suitable for industries that need to publish regular fresh content such as media. Tencent Micro-blog is also an additional product of the QQ account. It is very similar to Weibo, but not as popular. Most businesses will chose Weibo instead of Tencent Micro-blog. RenRen is popular amongst Chinese college students. About 70% of users are aged from 20 to 30. Known as Chinese Facebook, RenRen also have business accounts similar to Business Facebook Accounts. Note that most Chinese social media sites require a Chinese business license to verify their business account. So, international businesses without a local Chinese branch can’t get them. But they can still consider other social media websites that don’t require this, such as KaiXin or contact celebrities or famous blog/micro-blogs to promote their brand. Baidu Zhanzhang – Similar to Google Webmaster tools, Baidu Zhanzhang provides some useful features such as submit sitemap, monitor keywords position, index, backlinks. Baidu Tongji – Similar to Google Analytics, it monitors the performance of your site and provides detailed reports and suggestions. Baidu Index – Similar to Google Trends, it provides the search trends of the keywords, industry news and some other useful information. Hopefully this article provides a good starting point for the optimisation of your Chinese website, Apply these tips and get your content in front of the vast and engaged Chinese internet audience. As a General Manager, Yao leads Webcertain's Chinese Beijing-based team. He has more than 7 years experience in the online marketing field, focusing especially on SEO and SEM. Prior to heading up the Beijing office, Yao was based in the UK. how to bring our china site up in baidu..? what are the submissions we can make to bring our site up and is there any list of china directories,bookmarking,forum posting.. etc..can u help me on this please. There are a lot of to do to improve your ranking in Baidu. You can submit your site to Baidu at http://www.baidu.com/search/url_submit.html. I don’t recommand directory and bookmark site much cause they are not that helpful now. But you can try to submit to some famous one such as Hao123 which belongs to Baidu. I think the forum would help, but need to be relevant to the topic of your site. Hi, Yao, 2016 so not sure if you will pick up on this ? My question is do you think the home markets will eventually accept the mix of Chinese characters & universal terms such as VR plus the Character as a domain name url ? I know many use pinyin but It seems to me (home markets) that single characters will become verticals although there might be numerous meanings AI deep search will fully understand this and of course is an important in the home markets to protect the cultural linguistics. When I look at Baidu in the UK all I see are pinyin domains no character domains ? About Chinese character in domain, personally, I think the search engine will eventually accept it. And I agree with you that the search engines will understand Chinese character. We can see a lot of urls with Chinese characters/words been indexed by local search engines already. So I think it should be same in the domain, although webmasters rarely use Chinese characters in domain at the moment. Find it facinating that you naturally read / write in characters, understand meanings in universal abbreviations “VR” & yet hardly use characters as domain channels when everything is about short mobile media channels. From a marketing / SEO view the first entrance gain the advantage of unique cognitive home market brand, I would normally think when in Rome ……. when the reverse could be said re for certain Chinese characters ? 屋 – 遊戲 perfect SEO storm doubt that ICANN IDN policy or the government would deny national linguistics ? but who am I to blow against the wind : ) I guess if it is on local engines and Google it is happening, perhaps we should test the market with Baidu ? A task I set myself was to source and secure the right name that encapsulated the connotation of 88 carried by the cachet of the dot com, a tough ask as all / anything related to the numeral 8 where taken way back in the day. The brand to be short and cognitive and in a cognitive sense the eight character when twinned with the numeral will signify 88 and hopefully carry its cultural significance ? This would then possibly be the perfect home markets brand vehicle for games / gaming ? Although this currently requires more typing and switching the input method 八 using a Chinese input method and .com using English input. I think that now Baidu – Alibaba – 58 – Tencent com are global players China will not need protection from Google dominance and the com will ultimately be a seamless action. (interesting that Alibaba covered the .ch) would value your comment / critique via my email or openly. Very informative article, Yao. I live in the U.S., and I have a friend who lives in mainland China, who is a writer. She wants to learn SEO. Is there a resource you could recommend, that perhaps has a list of suggested reading or self-study that would pertain to the SEO market in China? Thanks. Hello Yao, thanks for your article, just a couple of points. I know this was written nearly a year ago, but I would question if Weibo even was back then, the most popular SMM tool in China. I suspect it had lost that mantel by end of the previous year. Also, curious about your comment re 360 search, we host offshore, have no Chinese licence yet are indexed and appear in 360 searches results. In fact, in recent months I have noticed we seem to attract almost as much 360 driven traffic as Baidu. Thanks so much for a great article. Really informative and useful. I will be following up on your links. Thanks again – this is pure gold. Great article! Will hosting a .cn.com website in Hong Kong be as effective as hosting in China? Hi Brad, good question. As Baidu said, they will treat oversea hosted website same to local hosted sites as long as the site is accessible to Chinese visitor (consider some restrictions such as local law or GFW). Great article Yao, with some interesting ideas, especially the information on site structure. I found the translation of the website the most difficult part. With such huge ecommerce sites this has been quite expensive in the past.